The AquaBound Sting Ray Carbon Posi-Lok kayak paddle is designed to provide superior performance with low swing weight by combining a carbon shaft with carbon abX II blades. The Aqua Bound Sting Ray in all carbon is a lightweight, all-purpose paddle with a blade shape that is silky smooth through the water. Carbon reinforced abX blades and carbon shaft give this paddle an incredibly low swing weight and is unbeatable at this price! Features the Posi-Lok adjustable ferrule system or with standard (three hole with snap button) ferrule system. Posi-Lok is an adjustable ferrule system which allows the paddle to be feathered at several angles and makes adjustability on the fly a breeze. Left handed paddlers, or paddlers who enjoy changing the angle of the paddle to suit the conditions, will like the versatility of the Posi-Lok ferrule system. Simply pinch the dual-button release and twist to your desired feather angle. The ferrule clicks firmly into the lock position to achieve a rock solid connection with no play whatsoever. The Posi-Lok ferrule does NOT allow for changes to the length of the paddle. Love this paddle. A huge upgrade from the aluminum shaft paddle I was using and a big upgrade from the fiberglass paddle my wife was using. I guess for another $150 I could have saved another 5 ounces on pricier paddles but I could also lose the 20 extra pounds I'm carrying for free... Bought yakgrips with these paddles - love those too. The Posi-lok ferrule is rock solid and the slip on Yakgrips WILL fit over the posi-lok ferrule. Austin Canoe and Kayak service and customer service is great as well. Looked at a lot of paddles in the stores glad we actually went with this one, so much lighter weight and better quality. I chose the Sting Ray Posi-Lock at the recommendation of the staff at ACK. I've never purchased any paddling gear and didn't know where to start. I knew that I wanted a "good paddle" that I would not want to replace soon. I have been really happy with this so far. It's extremely light weight, fits together tightly with absolutely no wiggling at all. I like the ability to adjust feathering- although this is something I'm still experimenting with as a new paddler. So far I don't see how you could go wrong with choosing this one. Lightweight, strong, and tough. Posilock ensures up to 60 degrees offset with no rattle or wiggle. Do not make the mistake of mismatching halves of different paddles. Mark them, as they are not interchangeable. You can't beat this for the price. It's light and is a great paddle. Highly recommend. Austin Kayak was quick to ship. 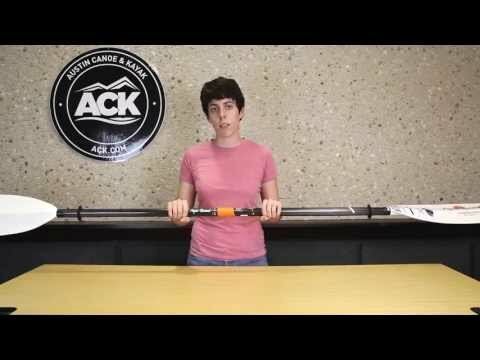 Excellent lightweight paddle with multiple adjustments. Very light and very strong. Love this paddle. Purchased two in different sizes and promptly gave away my old paddle. Love this paddle. Wins on weight, positioning, convenience (as in transporting), grip and durability. 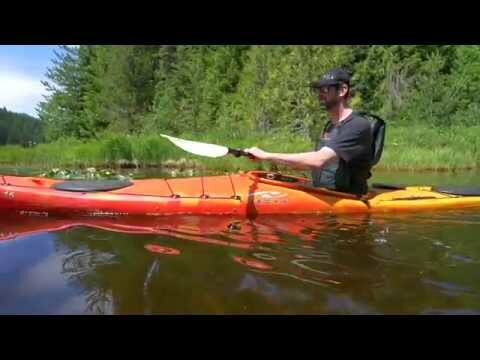 I kayak primarily on inland lakes, rivers (without major white water), marshlands, and this paddle works exceptionally well in those environments. Pro: Xllent paddle: featherlight, balanced, very dependable blades, superlock. Moves our Pamlico 145T so easy and fast so we easy can go counterstream at low depth, paddles wouldn't worrying you about stones - they are perfectly made for hard use. Contra: If you are powerfull as V8 so you will see when you working at 100% of power so shaft is slightly bending (but no blame to Posi-Lok) and blade surface is not sufficient to transform all of your power into movement - i should take 240cm Manta Ray with larger blade surface. For my son, daughter and wife 230cm StingRay is superb! Anyway this paddle 110% worth those money and superb for a weekend half-to-whole day water walking. I love this paddle it is so light. My husband bought another brand that was 3 oz. heavier. He uses mine when were not together. Great Paddle! Very light and works great with my Cuda. Two piece paddle stores easily. Great paddle for this price range.Light!The TLC coupler is fast and easy.Handled both my Prowler 13 and my Jackson Coosa Elite.Very nice for fishing! paddle is solid.Paddles my 2011 trident 13 with ease.TLC coupler is snug and has no movement.Very good product.I would recommend it to a friend. Q: How do I determine what length of paddle is best for me? A: this is based on the width of the kayak and the height of the paddler.